“The Request For Information (RFI) seeks to understand the real similarities and differences between Ethereum (ETH) and Bitcoin (BTC), along with Ether’s specific challenges, opportunities, and risks. 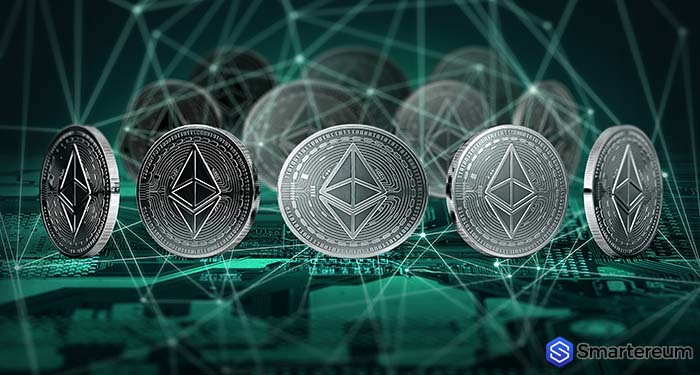 As this innocuous development came to light, many crypto analysts, pundits and commentators alike started to speculate that the regulatory entity was looking to receive feedback from the Ethereum project that will precede a ruling on the ETH-supported vehicles. Recently it would appear that strides have made behind closed doors. However, other reports claim that the providers of similar products to Ethereum futures are skeptical about such offerings. Paul Chou who serves as the CEO of LedgerX, while speaking in an interview, explained that there is only a 50/50 chance that the proposed ETH vehicles will go live in 2019. The executive went on to back his quip by explaining that many proposals for this product are “premature,” as was the case with the Bitcoin exchange-traded fund applications two years ago. According to Nelson Rosario, who works as an attorney with hands in crypto jars, noted that staking on these ETH products may raise suspicion in the eyes of regulators. Referencing physically held futures, the crypto attorney explained that live staking Ether might complicate products and confuse network developers at the same time. Based on previous reports CoinFlex a Hong Kong-based crypto startup backed by Roger Ver-backed is looking into offering a physical Ether futures. When the vehicle would go live wasn’t divulged, but Mark Lamb CoinFlex founder, seemed optimistic, for his firm and what crypto-related derivatives will offer in the future. Talk about an Ether futures product comes following a newfound hype for your Bitcoin ETFs. Interestingly, while futures products are regarded as less demanding compared to ETFs, analysts believe that more in the latter, the former. In a recent report, Bitwise Asset Management put out a Bitcoin ETF application to the SEC via an S-1 Form only days after the Winklevoss Twins first proposed a Bitcoin ETF product was denied by the apex regulatory body. Only a few days before that incident, Bloomberg sources reported that Japanese regulators were considering paving the way for several Bitcoin ETF product proposals being be filed although these claims were made downplayed by official spokespeople. Nevertheless, whether these reports are to be believed or not, they accentuate how discussions regarding the matter of ETF products continues to make headlines amid fears of an extended bearish run.